Bahir Dar, Ethiopia—Dr. Melkamu Baye Agegenehu, a promising young surgeon at Felege Hiwot Referral Hospital in Bahir Dar, recognized the challenges faced by staff at the busy hospital in the Amhara Region of northern Ethiopia. But when his mother became gravely ill, he quickly learned that a lack of supplies and other disparities at the health facility could even prove fatal for his aged parent. Last year, Dr. Melkamu, as he is known by colleagues, received a call at work that his mother, Birqe Tsegaw, a diabetic with hypertension and a non-functioning kidney, was ill. He rushed home to find her in distress, with difficulty breathing and swollen extremities. When Birqe was taken to a hospital, she was referred to Felege Hiwot where she was admitted to the intensive care unit. As his mother’s condition declined, Dr. Melkamu became more and more alarmed. When both her kidneys stopped working altogether, he feared the worst because there was no dialysis available. Even when doctors determined that her renal failure was due to an obstruction caused by a kidney stone—a condition that could easily be addressed with surgery—the physician-son remained concerned. Performing the surgery wasn’t a given because it required two basic tools that Ethiopia’s regional hospitals don’t typically have: a J-stent and a cystoscope. Due to his mother’s deteriorating condition, it wasn’t possible to refer her to a well-resourced hospital in the capital, Addis Ababa, about 300 miles away. An estimated five billion people worldwide don’t have access to basic surgery. In many developing countries, lack of surgical specialists, technicians, supplies and robust referral systems can exacerbate health conditions that a simple surgical procedure could easily remedy. This was the situation Dr. Melkamu faced with his ailing mother. But he was determined to help reverse his mother’s downward spiral, vowing to make every effort to save her life. Dr. Melkamu discussed Birqe’s critical condition—by then, she was slipping into a coma—with colleagues who would perform the surgery and friends in Bahir Dar and Addis Ababa. One of his friends in Addis Ababa promised to send him the J-stent on the next flight to Bahir Dar. Next, he was thrilled to learn that there was a cystoscope at a nearby health facility—but it was unavailable right then. Dr. Melkamu was undeterred. He eventually received the cystoscope from Bahir Dar Hamline Fistula Hospital — and was so grateful for their help in contributing to saving his mother’s life. A light source and other needed supplies also were delivered to the hospital for his mother’s surgery. With all supplies in hand, a colleague performed the procedure. Birqe emerged from her near-coma state the next day. Despite the presence of a surgeon in the hospital, Birqe might have died because of a lack of simple supplies. Dr. Melkamu knows that she recovered because of his medical knowledge and network of clinical colleagues that enabled him to locate the supplies needed for the surgery that saved her life. He saw the power that one person can have in changing another’s life and understood how strengthening health systems can have a ripple effect, potentially impacting thousands of lives in Ethiopia. 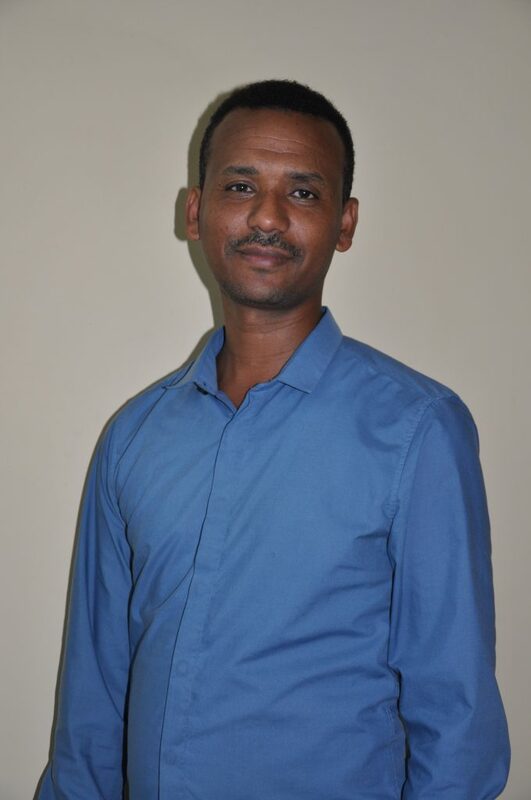 Since Birqe’s surgery, Dr. Melkamu has committed his life to strengthening the delivery of surgical care and has passionately joined a team of surgical mentors in Amhara with the hope of impacting many lives. As a participant in a Jhpiego-supported leadership development seminar for surgical teams in June, he honed his skills in problem solving, change management, communication and teamwork, which he is now applying to identify and resolve health systems issues at his hospital. He is also using his leadership and critical-thinking skills to assist the surgical team at Adet Hospital, 78 kilometers west of Bahir Dar, to develop and implement a surgical checklist, increase the number of “bellwether procedures” (i.e., emergency cesarean section, abdominal surgery and treatment of open fractures), decrease unnecessary referrals and monitor the hospital’s progress monthly. The five-day leadership development workshop, supported by the GE Foundation’s Safe Surgery 2020 initiative, was facilitated by Jhpiego in collaboration with the Ministry of Health of Ethiopia, the Surgical Society of Ethiopia, and Johns Hopkins Armstrong Institute for Patient Safety. Through this effort, Dr. Melkamu and his surgical team will prioritize health systems issues at their hospital and commit to lasting solutions, making surgery safer for everyone. Teruwork Gultie is a senior operating room nurse and senior program officer in Jhpiego’s Ethiopia office who works on the Safe Surgery 2020 initiative.